Built in Real Time Clock (RTC) - slot in a CR1220 backup battery for 7-years or more of timekeeping even if the Pi is off! Please note, this HAT takes over the Pi's hardware UART to send/receive data to and from the GPS module. So, if you need to use the RX/TX pins with a console cable, you cannot also use this HAT. Instead, you'll have to use a composite or HDMI monitor and keyboard to log in, or use ssh to connect over the network to your Pi. This HAT is pretty simple but its worth going thru what pins are used for what! The Raspberry Pi has only one serial port, and you do need serial to chat to a GPS so we will take over the RXD and TXD pins. GPS's can output a 'pulse per second' for synchronizing the time. We have a breakout for this and a closed jumper that connects it to GPIO#4 - if you do not need PPS and want to use #4 for something else, just cut the little connection on the PPS PCB line. Run sudo shutdown -h now to shutdown your Pi safely. After rebooting the Pi for the above changes to take effect, you can proceed with testing the GPS! The first step is installing some software on your Raspberry Pi that understands the serial data that your GPS module is providing via /dev/ttyAMA0. Thankfully other people have already done all the hard work for you of properly parsing the raw GPS data, and we can use (amongst other options) a nice little package named 'gpsd', which essentially acts as a layer between your applications and the actual GPS hardware, gracefully handling parsing errors, and providing a common, well-defined interfaces to any GPS module. And install the software as it prompts you to do. After installing gpsd and disabling the gpsd systemd service as mentioned above you're ready to start using gpsd yourself. Try running gpsmon to get a live-streaming update of GPS data! GETTING GPS TO WORK ON A RASPBERRY PI. Great forum post on how to setup time synchronization with a Raspberry Pi and the PPS output of the GPS HAT. Another good write-up on how to configure a Pi to use GPS and the PPS output for time synchronization. Note that this guide uses GPIO18 for the PPS signal but the HAT uses GPIO4. Doing something fun with GPS and tracking data? Be sure to post about it in the Adafruit forums so everyone else can get inspired by it! 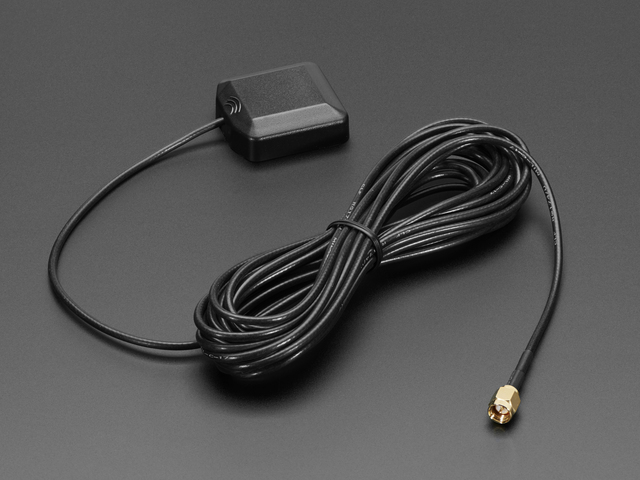 All Ultimate GPS modules have a built in patch antenna - this antenna provides -165 dBm sensitivity and is perfect for many projects. However, if you want to place your project in a box, it might not be possible to have the antenna pointing up, or it might be in a metal shield, or you may need more sensitivity. In these cases, you may want to use an external active antenna. 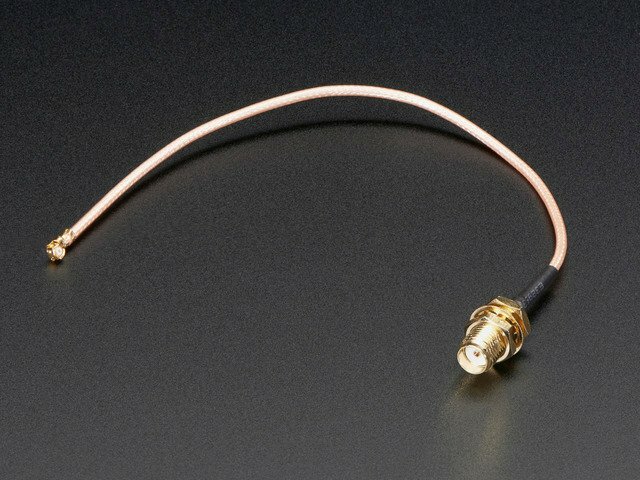 There is an output sentence that will tell you the status of the antenna. $PGTOP,11,x where x is the status number. If x is 3 that means it is using the external antenna. If x is 2 it's using the internal antenna and if x is 1 there was an antenna short or problem. The GPS has a built in real time clock, which can keep track of time even when it power is lost and it doesn't have a fix yet. It can also help reduce fix times, if you expect to have a flakey power connection (say you're using solar or similar). To use the RTC, we need to insert a battery. There is holder on the HAT for a CR1220 sized battery holder. We provide the holder but the battery is not included. 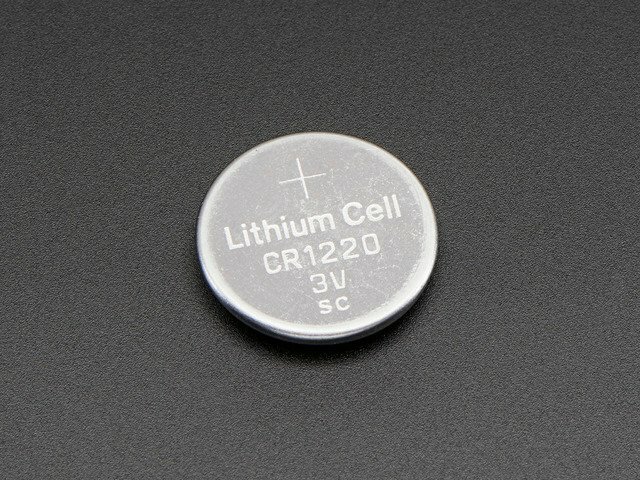 You can use any 12mm coin cell - these are popular and we also carry them in the Adafruit shop. This guide was first published on Dec 26, 2014. It was last updated on Dec 26, 2014.